LAS VEGAS, April 3, 2017 /PRNewswire/ — GB Sciences, Inc. (formerly known as Growblox Sciences, Inc.) (OTCQB: GBLX) submits offer to Louisiana State University (LSU) to act as the LSU licensed operator of their medical cannabis production facility as outlined in the Alison Neustrom Act (hereinafter referred to as the “Act”). The offer would enable GB Sciences to be the sole vendor of cannabis and extracted cannabis compounds on behalf of LSU for the patients of Louisiana. LSU and Southern University have the only two licenses granted by the State of Louisiana to cultivate, distribute, and sell medical cannabis. The Act specifically authorizes the LSU AgCenter to conduct research on medical cannabis. The AgCenter will operate a separate research division for independent research. The research division may operate alongside and in the same facility as the Production Entity’s commercial operation, which will produce therapeutic medical cannabis products for qualified patients of Louisiana. If GB Sciences is selected to work with LSU, it will have first rights to commercialize any inventions or discovery of research center. GB Sciences is looking forward to the prospect of working with LSU on GB Sciences’ cannabis tissue propagation technology. The facility will serve the approximate five million people who live in the state of Louisiana. The cultivation plant will contain a minimum of a 5,000 square foot research lab. In order to fulfill the requirements of the application, GB Sciences is raising two million dollars in bonds. The bonds will collateralize a required bid bond associated with the offer to LSU. This is an open bid process with only a few offers due to the one million dollar bid bond provision. 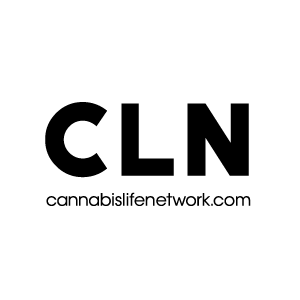 The license and partnership is for the development of new cannabis based medical compounds and tissue propagation development for new cannabis drug discovery to advance the GB Sciences (GBLX) patented formulations toward FDA approved Clinical Trials. Louisiana State University and Agricultural and Mechanical College (hereinafter referred as the “University” or “LSU“) is the state’s comprehensive research university. The University is classified by the Carnegie Foundation as a Doctorate-granting university with very high research activity – one of the only 27 public and 23 private universities in the nation. The University’s instructional programs include 194 undergraduate and graduate/professional degrees. The University is accredited by the Commission on Colleges of the Southern Association of Colleges and Schools (SACSCOC) to award bachelors, masters, doctoral, and professional degrees. As the premier university of the state, the mission of the University is the generation, preservation, dissemination, and application of knowledge and the cultivation of the arts for the benefit of the peoples of the state, the nation, and the global community. The University offers challenging undergraduate, graduate, doctoral, and professional education programs for outstanding students from Louisiana, the nation, and other countries. The University’s libraries and museums preserve the rich cultural heritage of the state, and scholar and artists at the University contribute to the literature, history, science, technology, and arts of our culturally diverse community.